Pre-reservation tickets for the GFRIEND's second Asian tour of Seoul is now open. 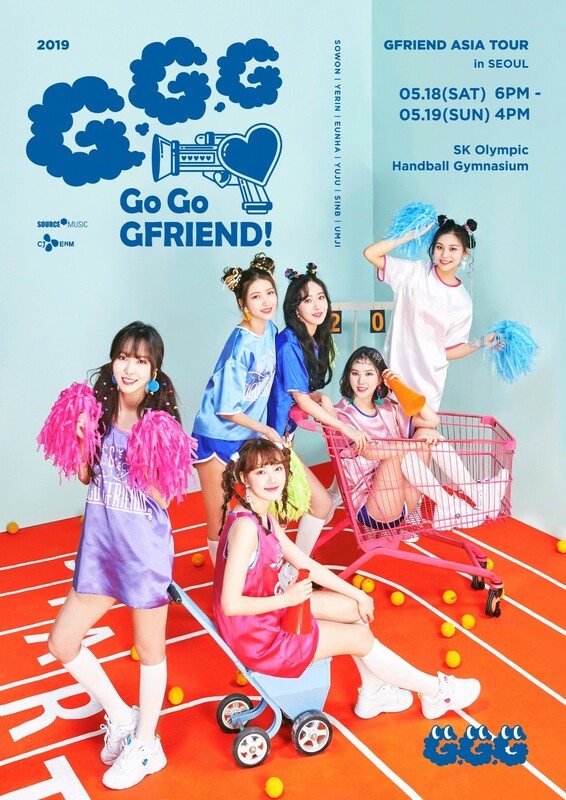 GFRIEND 2019 ASIA TOUR [GO GO GFRIEND!] in SEOUL will be held from May 18 to 19 at the SK Olympic Handball Stadium in Seoul, and the official fan club reservation is held through YES24 at 8 p.m. April 2. This is the first performance to celebrate the full-fledged start of second Asian tour and the first time they have met with fans in eight months since GFRIEND’s FIRST CONCERT "Season of GFRIEND" ENCORE held in September last year. Through their second Asia tour, the GFRIEND will communicate more closely with the audience with a wider musical spectrum and a richer composition. GFRIEND will continue their Asian tour in a total of nine regions, including Kuala Lumpur, Malaysia on June 29, Singapore on July 20, Bangkok, Thailand on July 27, Hong Kong on Aug. 3, Jakarta, Indonesia on Aug. 23, Manila, the Philippines on Aug. 25, Taipei, Taiwan on Aug. 31 and Yokohama, Japan on Nov. 17. Tickets for GFRIEND’s Asian tour "GFRIEND 2019 ASIA TOUR [GO GO GFRIEND!] in SEOUL" will start pre reservation for the fan club at 8 p.m. on April 2, and regular reservations will be held at 8 p.m. on the 4.